Just Recently, our song “Get Found” was featured in The Charleston WV Convention & Visitor’s Bureau tourism video to help add some zest to their campaign. We think it works pretty well, but then again, we’re a bit biased. 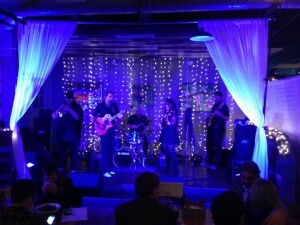 Qiet performs the Charleston CVB video release party! This entry was posted in Qiet. Bookmark the permalink.